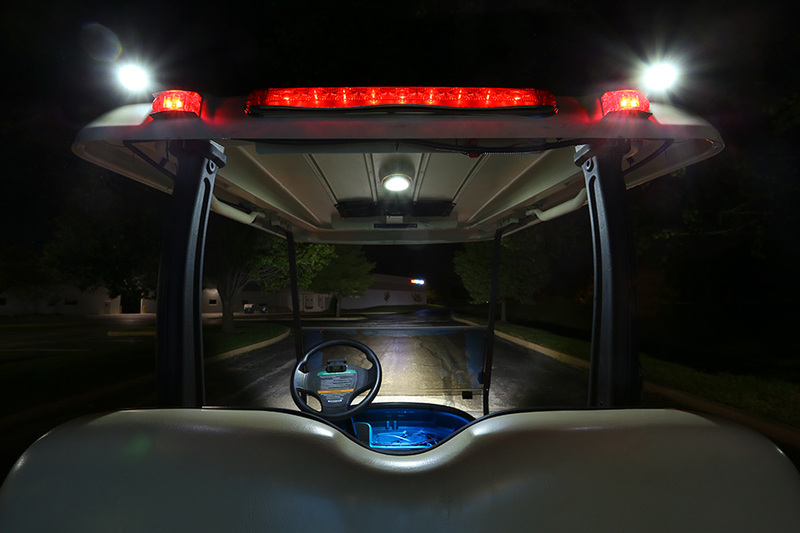 10W Mini-Aux, 2" Modular LED Off-Road Work Light: Shown Mounted On Top Of Golf Cart As Backing/Work Lights. 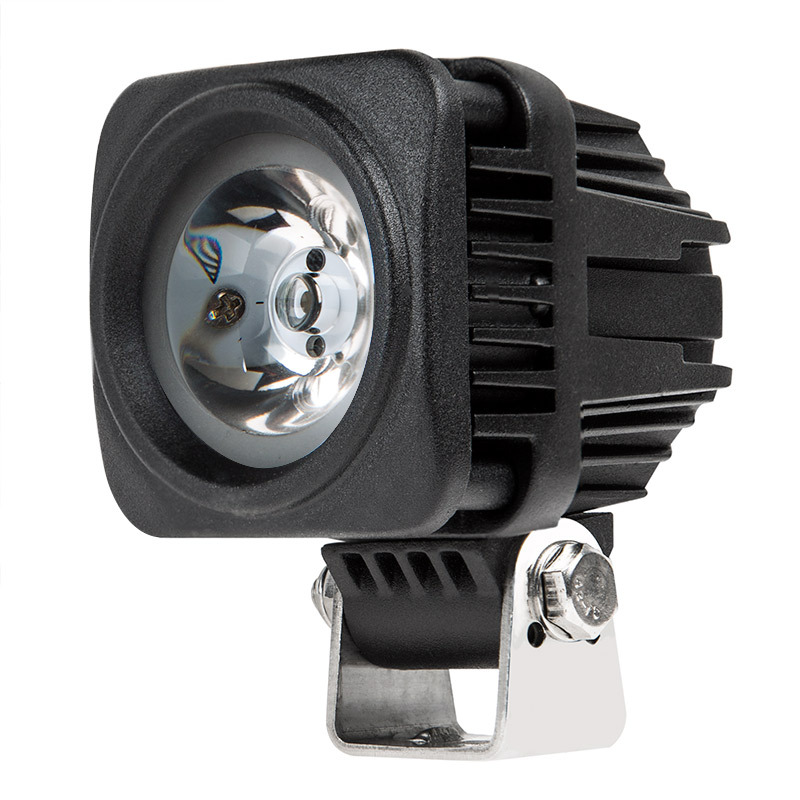 10W Mini-Aux, 2" Modular LED Off-Road Work Light: 360° View. 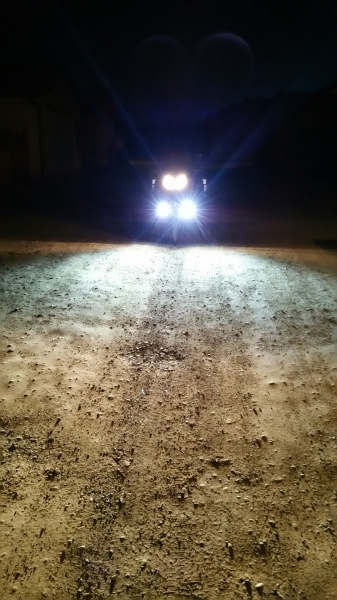 Universal off-road light designed to increase visibility and provide light where headlights don't. 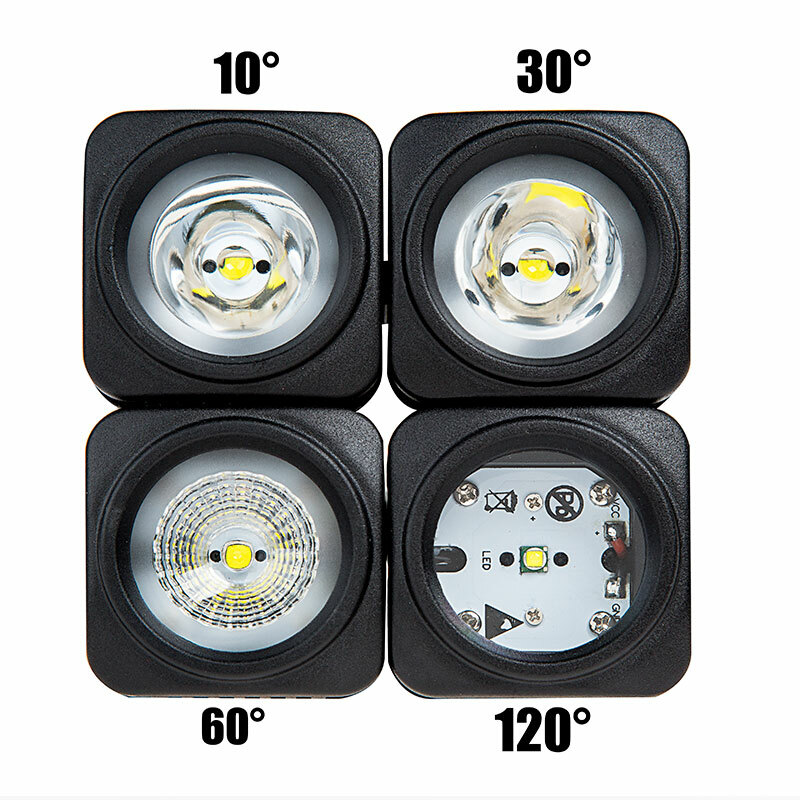 10 Watt LED light pod features a compact low profile and unique modular design, which allows the user to assemble multiple lights into various configurations. 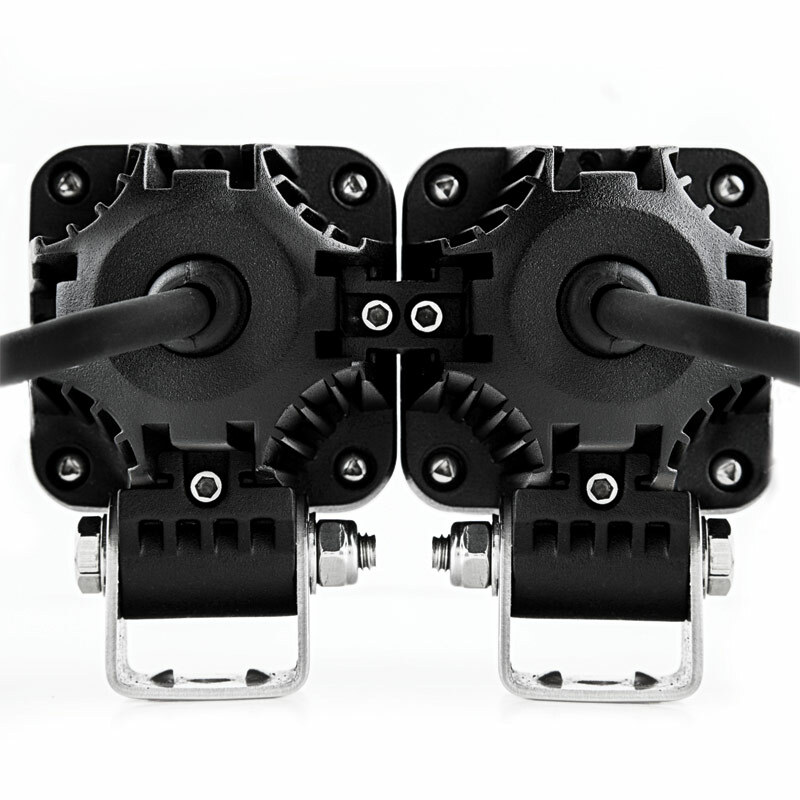 Durable housing provides water and shock resistance. 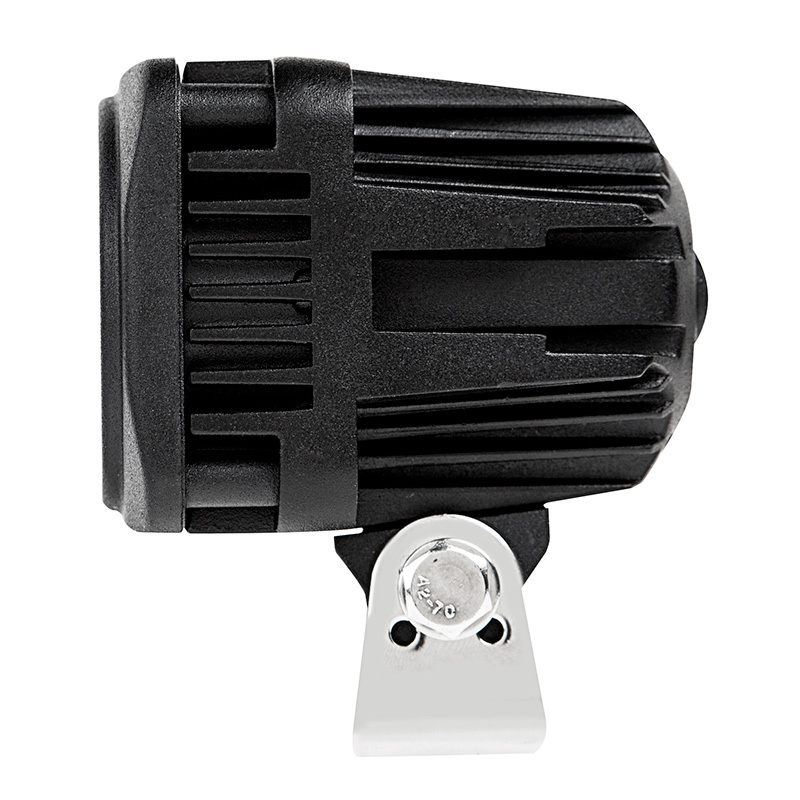 Produces up to 900 lumens, equipped with a high power 10W LED. 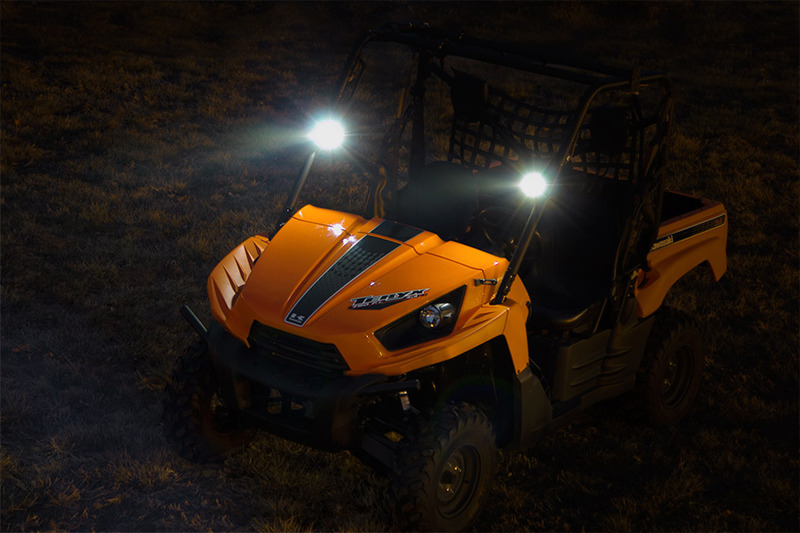 Ideal for demanding work environments, including material handling, agricultural machinery, marine, mining, and off-road equipment and trucks. 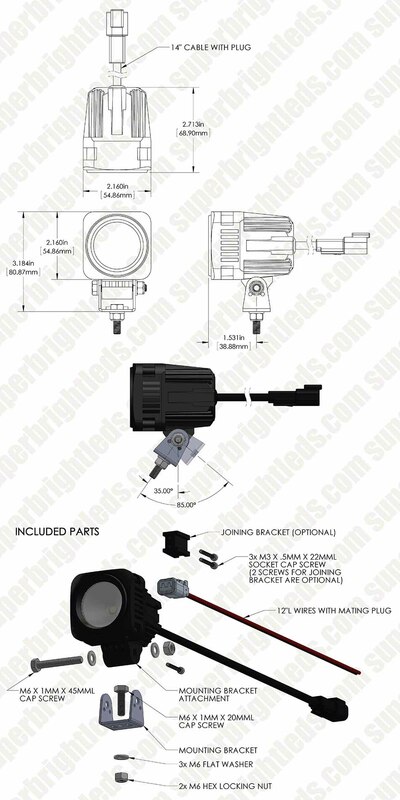 Can be used individually or combined with included hardware. 12" wire lead with a mating 12" DT pigtail adapter. Also available in white. 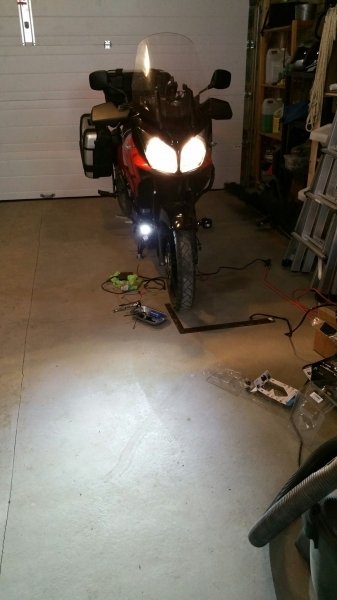 I wanted to add running lights to my motorcycle providing additional points of light that would enable oncoming traffic to easily identify me as a motorcycle. 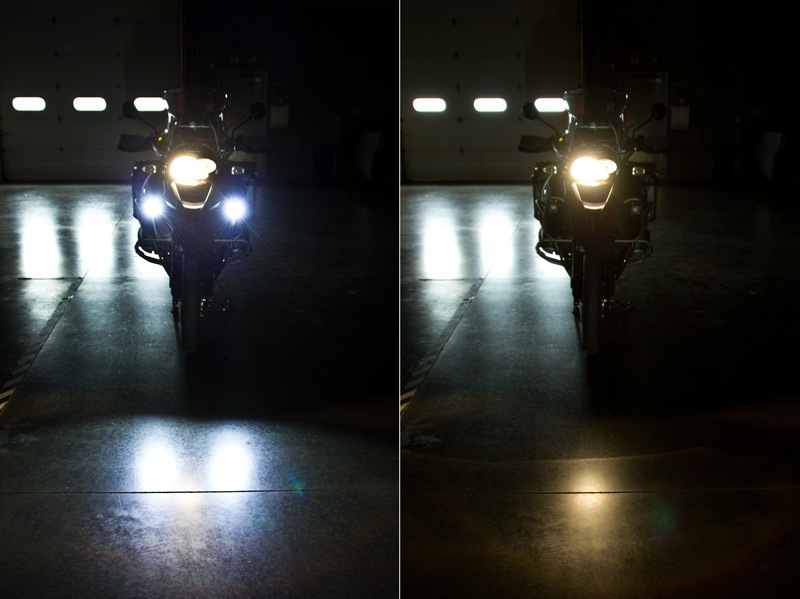 My goal was not to blind rather create a triangle of points and rather than a bright focused beam for distance, more of a wide fog light effect. 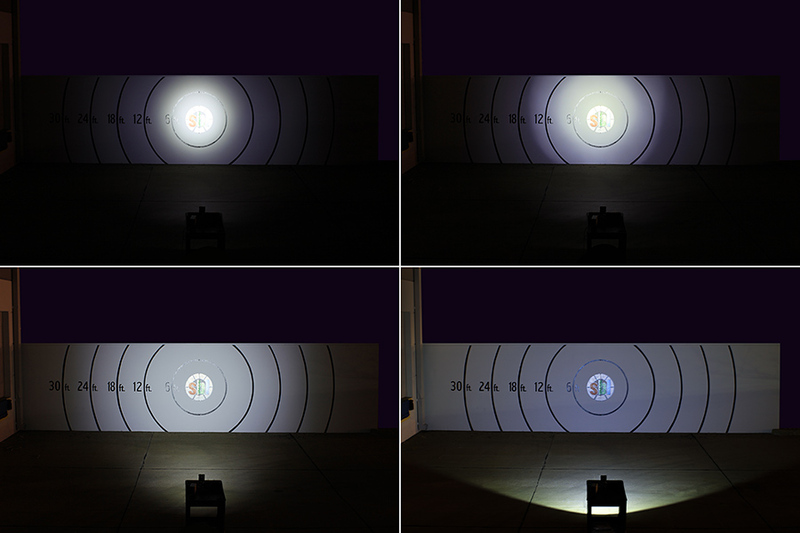 To that end I went with the 60 degree beam and the results are just what I was looking for. 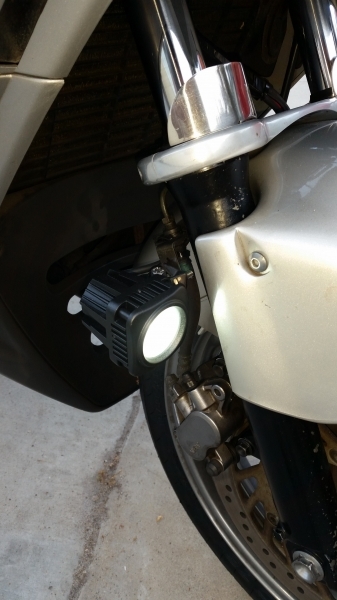 I was able to mount these lamps in place of my fender bolts on my 2011 Suzuki V-Strom without any issues. 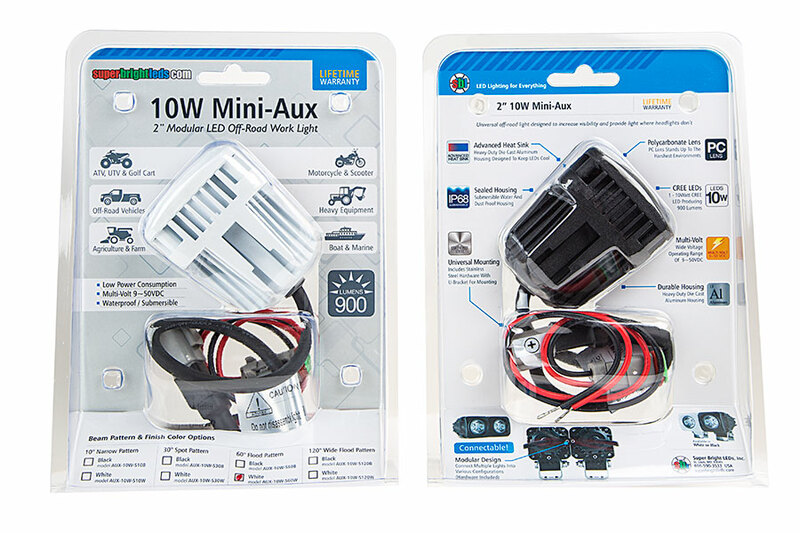 I purchased the wiring harness mostly for the connectors as I have a relay/fuse box in place already. Even the 60 degree pattern of these lights would be blinding for oncoming vehicles. To change the beam pattern to a half moon and reduce the brightness at eye level I covered the top part of the lamp with black electrical tape. Rough pictures are attached. Installed 2 of these on an older farm tractor. 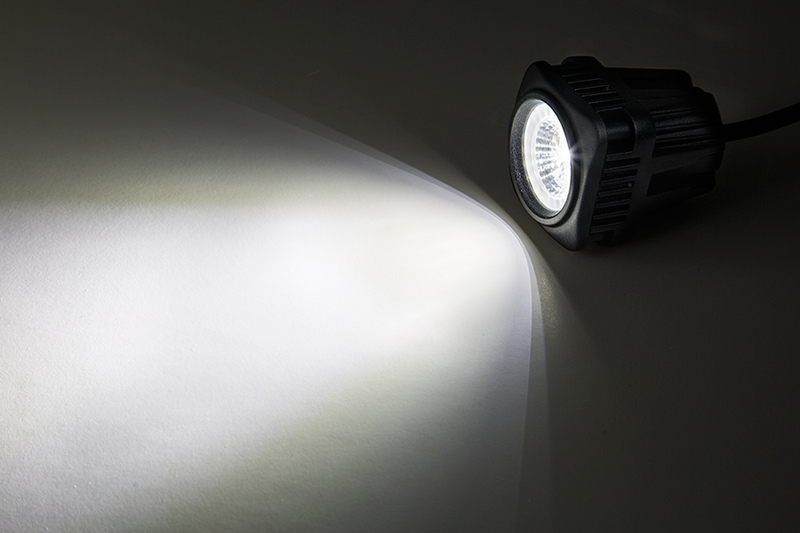 Nice quality light for the price. 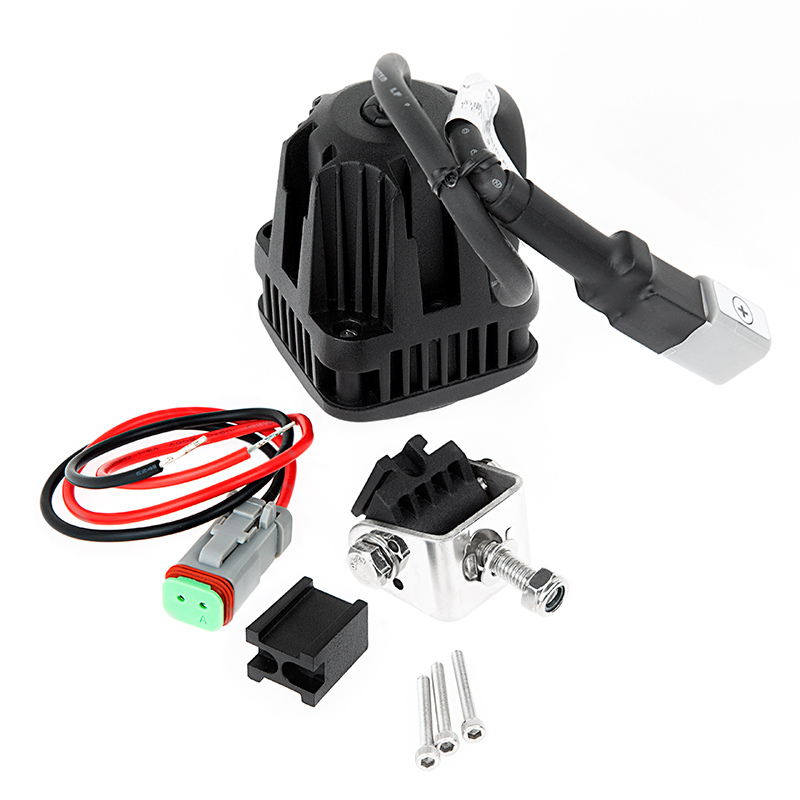 Heavy rugged construction, doesn't feel "cheapo" High quality wiring harness as well. 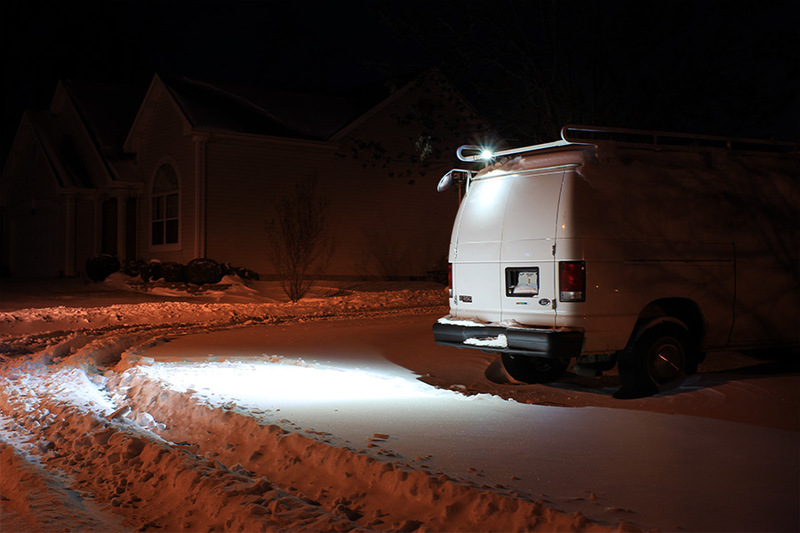 The floods were just way too blown out for riding, however I have a few on the back of my truck for short distance throw back-up lights and they work great. 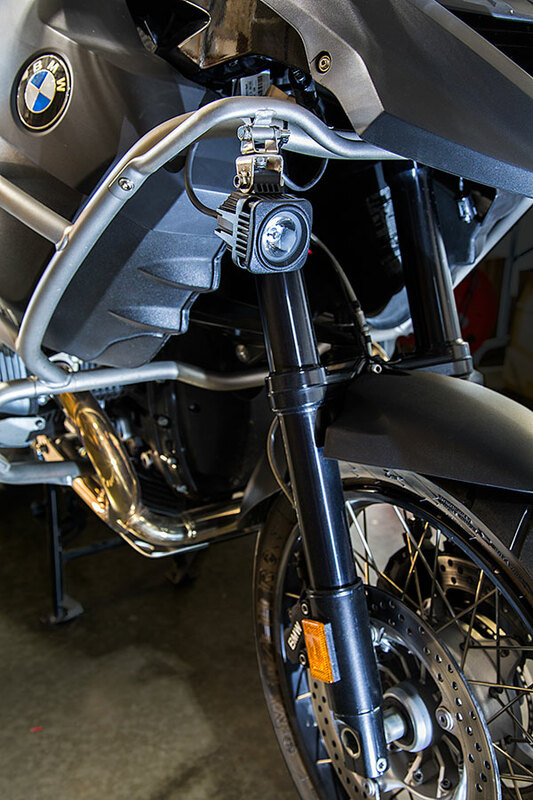 I put a set of these on my DR650 Suzuki. The stock light leaves much to be desired. 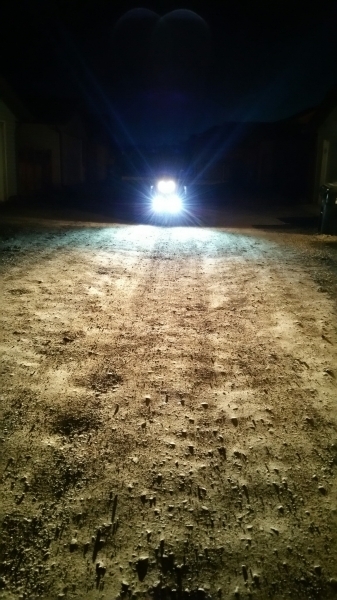 I made a 500 mile return ride with 5 other riders at night and had to pretty much depend on there lights to be able to see. Not now, these things really reach out there. I put a 10 degree on the left side and a 30 on the right. Solid made and are of good quality. Now a set of the 120 degree for my mowing machine. I ordered one each in 10 & 30 degree patterns. These are insanely bright and appear solidly built. 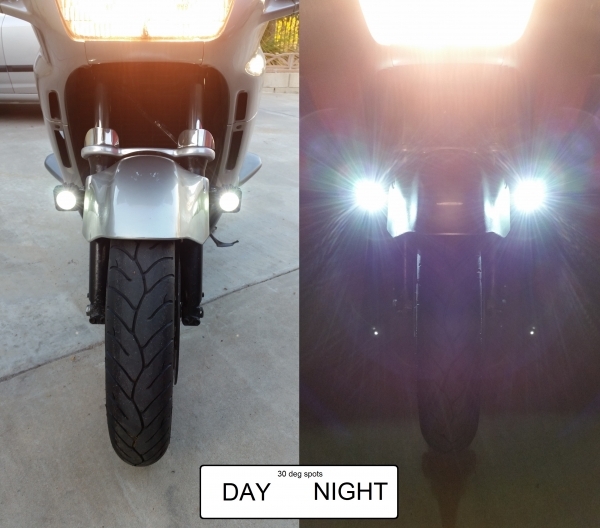 I plan on mounting these two on my 2007 Suzuki Bandit to augment the feeble stock halogen high beam. I'm already saving for more of these.